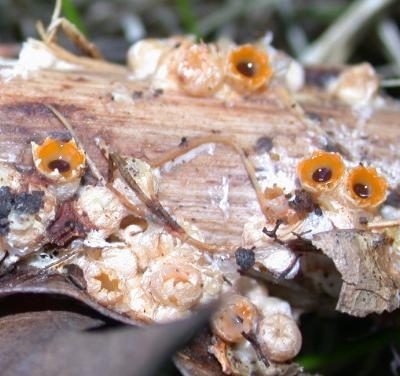 The artillery fungus, or shotgun fungus, is a wood-decay fungus that likes to live on moist landscape mulch. The worst thing about this fungus is that it shoots spores up to 20 feet, which often land on siding, cars and anything else that surrounds the mulch. It seems to have become a serious problem this year for many homeowners here in Western Massachusetts. This year we’ve had a lot of customers come in with this problem and ask for mulch recommendations. Unfortunately no natural mulch can resist the artillery fungus – Penn State Plant Pathology department has tested 27 different kinds of mulch and found that with enough time all of the mulches were supporting the evil spore-shooting mushroom. The only way to ensure that artillery fungus never comes back is to take out the mulch completely and replace it with stone, artificial mulch or ground-cover plants. However, if you dislike stone and still want to replace the fungus infested mulch with organic mulch, the best way to keep the shotgun fungus away is to use a course ground of wood chips ( our playground chips would do ). The larger pieces of wood will stay mostly dry and the artillery fungus won’t like it as much as moist, finely ground mulch. Generally, the key to preventing the artillery spores from ever sprouting is refreshing your mulch regularly. 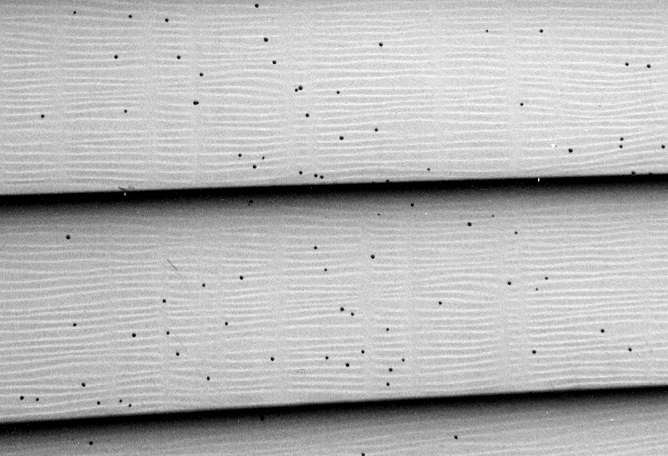 As far as getting rid of the spores on your siding – that’s not a fun job. The most important part is to get them quick, as they are covered in sticky substance that will stay on the siding for good if not taken care of in a timely fashion. New vinyl siding that still has an oily residue on it can be power-washed within the first week. In other cases power-washing will be fruitless. Scraping the spores off one-by-one with a scraper or steel wool is tedious but effective. After that there will still be a stain left, which can be taken care of with an ink eraser or possibly bleach. Bleach, Simple Green, toothpaste and alcohol-based mouthwash have been known to work with various rates of success, and can be tried first before attacking the spores with a scraper. For removing spores off of cars oil, vinegar, car wax and tree sap remover have all worked for people that tested them. The bottom line is that no organic mulch is completely safe from the artillery fungus. If you know that shotgun fungus has been attacking your neighborhood switching to stone in the areas surrounding the house would be the safest choice. If you simply can’t stand stone, then refreshing the mulch every year would be the second best thing to do. We have done more research and talked to people that have had this problem about most effective ways of getting rid of the stains on the siding. As far as we know the most effective way of cleaning the black stains is to first break through the outer shell – by either scraping through each individual one with something sharp or by using mouthwash to soften the resin surrounding the spore (yes, it does sound strange). Once the outer shell formed by the resin is opened up, Mr. Clean Magic Eraser is said to do a fantastic job of cleaning up the black stains. 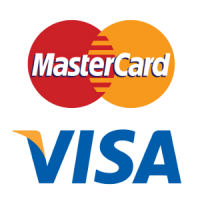 This is incredibly time consuming and tedious work, but we have not yet found an easy way to make this problem go away. Best of luck!